DENVER -- Getting in shape is no easy task. That’s why so many people who started out 2019 with working out as a resolution have already given up on it. But Denver7’s Eric Lupher has set a new goal of completing the BolderBOULDER this year. The Memorial Day 10K is one of the largest and most popular runs in the country with more than 50,000 people completing the course every year. 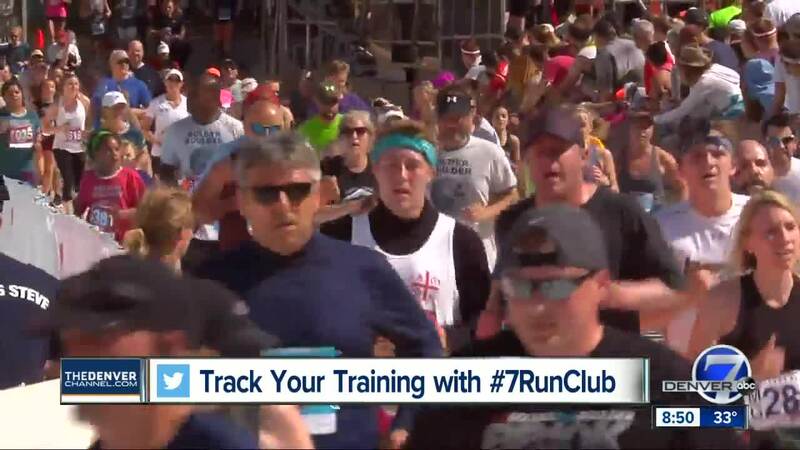 Helping Eric out along his journey from couch potato to 10k participant will be Katie LaSalle, an avid runner, and trainers from BolderBOULDER training partner Revolution Running . They’ve put together 10-week training guides for both beginner and intermediate runners to help Eric and you get ready. Since the race is more than ten weeks away, you can get a head start. Whether you’re training at home at the same time, or just want to show your support, you can follow Eric’s progress on Facebook , Twitter and Instagram . He’d love to hear your words of encouragement and share his own with you. And don’t forget to sign-up for the BolderBOULDER now if you’re interested. Prices go up March 1, 2019.